As we are getting farther North in Quebec the weather is getting colder. 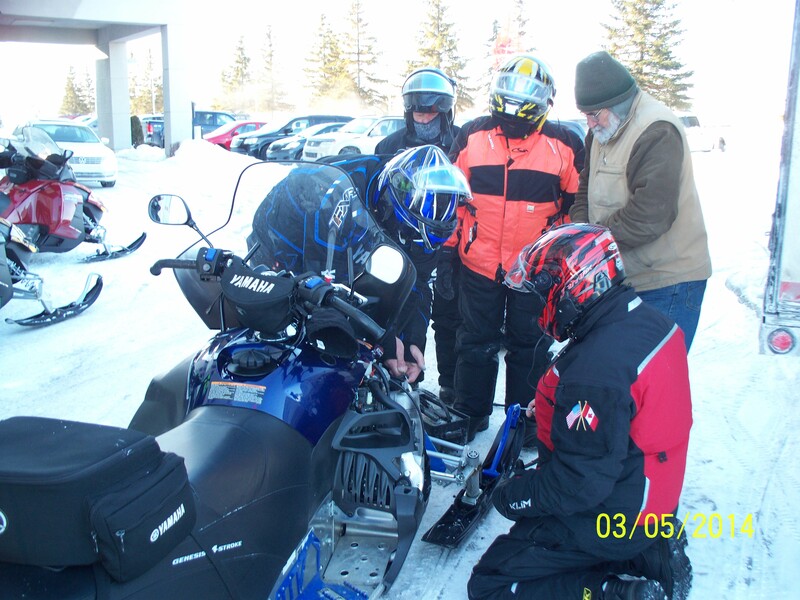 This morning we had a sled that would not start and had to get out the jumper cables and battery. After a few tries it started and we were on our way. The temp is -22 degrees and we have 186 miles to ride today.